Seeds and fruits There are 24 products. 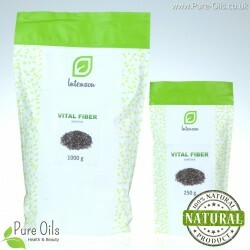 They provide a large amount of essential minerals, fiber, protein and many valuable vitamins. 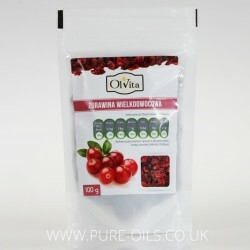 In addition they are a rich source of unsaturated fatty acids. Seeds and fruits have a positive effect on the condition of the skin, hair and nails. They are an excellent snack at the same time support the fight against overweight. Seeds and fruits provide a lot of strength and energy as well as reinforce memory and concentration. Consumed by people who lead a healthy and active lifestyle. 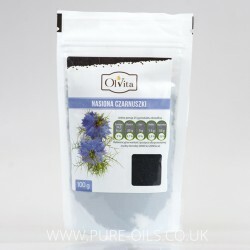 Nigella seeds – seed plant native to North Africa. Its seeds are rich in vitamins: A, E, F, B1, B3, B6, biotins and mineral compounds such as: magnesium, potassium, sodium, zinc, selenium, iron and calcium. 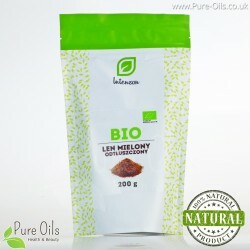 Moreover, they contain various fatty acids, alkaloids, proteins, phytosterols, flavonoids as well as phospholipids. 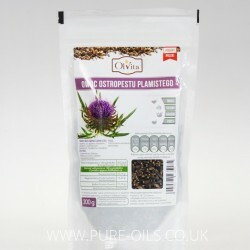 Ground milk thistle seeds are obtained from ground, partially defatted seeds. 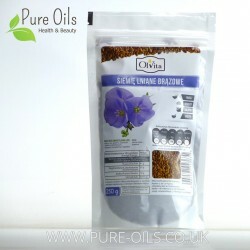 They contain unsaturated fatty acids, mainly linolenic acid, silymarin and vitamin E.Silymarin present in seeds protects against viral hepatitis A, B and C as well as helps regenerate the liver. The factors that damage liver cells most often are heavy metals and alcohol. 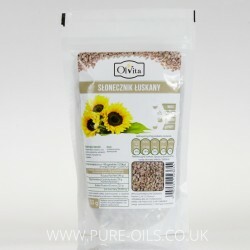 Shelled sunflower is rich in iron, magnesium, zinc, copper, manganese, selenium, vitamin E as well as B vitamins. 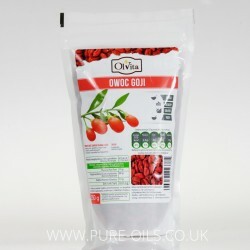 Additionally, it contains unsaturated fatty acids, mainly omega 6. Sunflower reduces the level of cholesterol in blood and supports the function of the nervous system. Ground almond is a rich source of unsaturated fatty acids as well as minerals such as: iron, calcium, phosphorus, magnesium, zinc, sodium, and first of all, very valuable potassium. 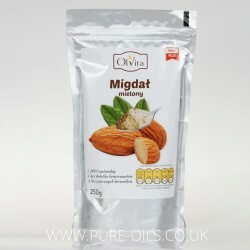 Moreover, ground almond contains also folic acid, fibre, proteins, vitamin E as well as B-group vitamins. Almond powder prevents heart diseases, arteriosclerosis and diabetes. 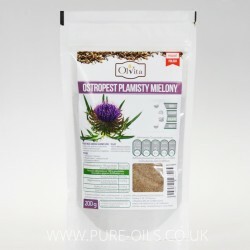 Plantago Psyllium is an annual plant native to the western parts of the Mediterranean Sea, West Asia and North Africa. 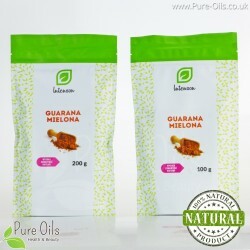 Seeds contain high volumes of fibre, proteins, sterols as well as aucubina. Plantago psyllium is helpful in losing weight as fibre contained in its seeds swells under the influence of water and temperature. 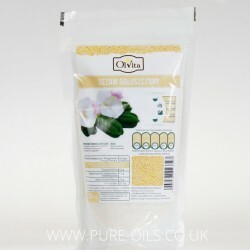 Chia Seeds are the fruits of Salvia hispanica, the plant grown in Mexico and Guatemala. 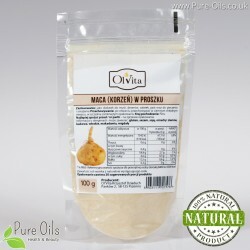 They constitute a rich source of Omega 3 and 6 fatty acids. 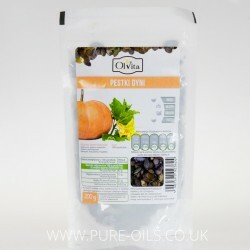 They contain calcium, magnesium, phosphorus, iron, zinc, vitamins E, B1, B3 as well as antioxidants. 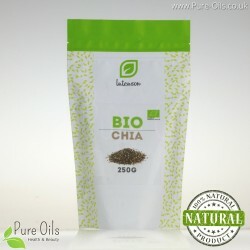 Chia seeds regulate the level of sugar and cholesterol in blood. 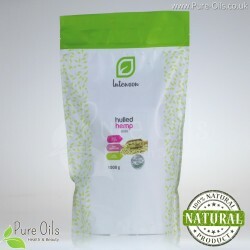 Shelled pumpkin seeds is a source of vitamins A, D, E, B-group vitamins, polyunsaturated fatty acids and phytosterols. 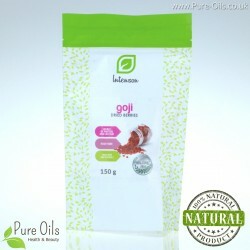 Moreover, it also contains the following minerals: manganese, zinc, phosphorus and magnesium. Quinoa (peruvian rice) has a positive impact on health. It is a source of protein, fatty acids many vitamins and minerals such as: iron, calcium, magnesium, phosphorus, zinc, sodium, and potassium. 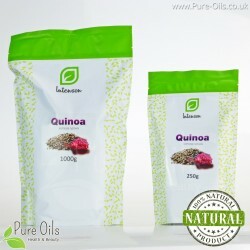 In addition quinoa contains a valuable folic acid, fiber and flavonoids. Quinoa exhibits antioxidant properties.